Visita Iglesia was typically done during Maundy Thursday but we were not able to go out that day. So, we decided to have our visita iglesia the following day. Along with the seven churches we visit, Calabanga Church, Quipayo- Calabanga Church, Magarao Church, Bombon Church, San Felipe Church, Basilica Minore, San Francisco Church (Naga City).Hubby decided to visit "The Village" or commonly known as LRV's Agri Science Farm and Resort at San Bernardino, Calabanga. I guess it was owned by Governor LRay hence the name. The place is just little bit too far and around 30 minutes from the centro of Calabanga which is around two hours perhaps from the Naga City proper. Anyway, the motor ride is really hot considering the warm sun but it's a good thing though because it would be hard if it was raining. The heat is bearable but I got sun burn afterwards. So, here are some pictures of us in the resort. Entrance is Php 50.00 but if your going for a swim, you need to pay another Php. 150.00. To know more about "The Village" , you can check out Camarines Sur Guides. 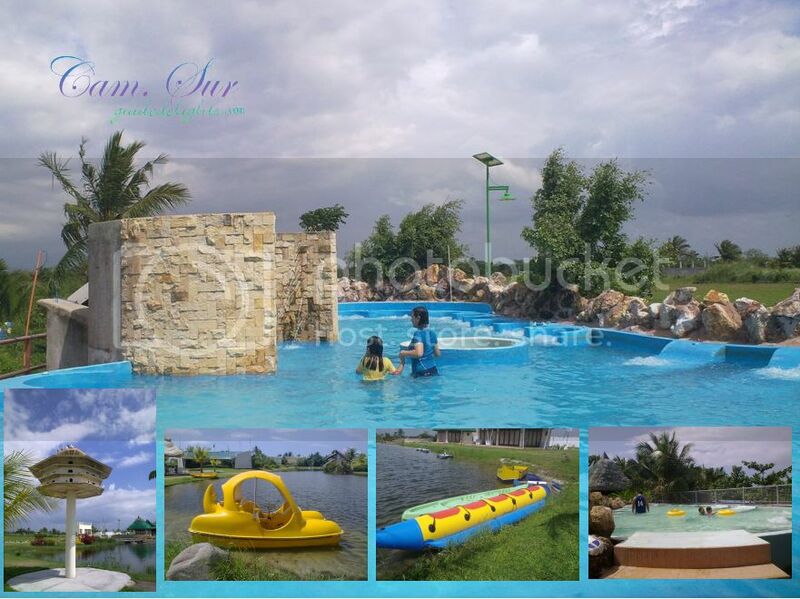 Like the place and it is worth paying the P150.00 for swimming..
Looks like a fun time. I've never seen anything like swing before. Thank you for your valuable comments. This is a PR2 blog with DO FOLLOW comment section. Your comments will be visible after being moderated.